We believe that all people — including our local workforce, low-income families, people with disabilities, youth and seniors — deserve a healthy and secure home. 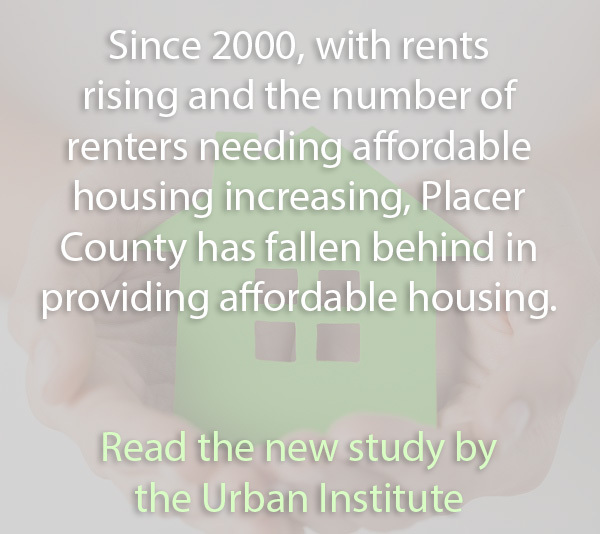 Placer Housing Matters asks that you educate yourself and others about the need for and the benefits of affordable housing, participate in the community-planning process, and ask your local elected officials to support affordable housing. Educate yourself and others about the need for and the benefits of affordable housing. Support affordable housing proposals in your neighborhood. Participate in the community-planning process and encourage your neighbors to do the same. Testify and support affordable housing at public hearings and city council meetings. Mobilize and engage your organization, neighborhood group, congregation, school, etc. in affordable housing advocacy. Call and write your local elected officials and ask them to support affordable housing. 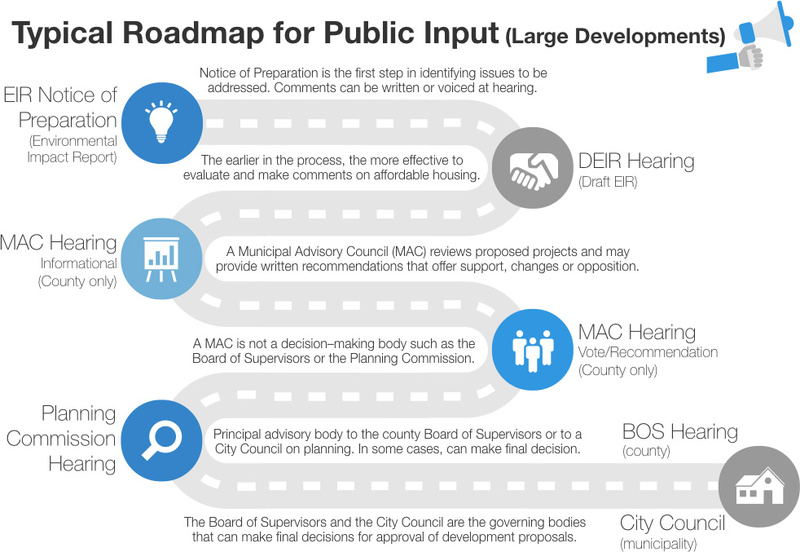 Understanding your local county and city government procedure for approval of housing developments is important so that you can participate in the process. A Negative Declaration or Mitigated Negative Declaration is a short document that describes the proposed project, presents findings related to environmental conditions, includes a copy of the Initial Study which documents the reasons to support the findings, and includes mitigation measures, if any, included in the project to avoid potentially significant effects. If you see a sign similar to this — indicating a planned development project is in the works — it is in all of our best interests as concerned and responsible residents to understand the scope of the project and provide public comment as necessary.